NEW: Selection of SlimBeam cable pull modules with coloured plastic coating (white, red, blue, yellow)! 75 kg weight block: adjustable in 5 kg increments; the actual resistance depends on the module settings. For more information, please see below. Functional Training — like on the NOHrD cable machine SlimBeam — - exercise complexly: The performance is quite simple. Complex muscle groups are exercised. This makes you fitter, because you exercise coordination between different muscles as well.. The NOHrD cable machine SlimBeam offers a versatile workout. The double cable control can be individually adjusted in height. Do exercises for chest, biceps or abs. Cable controls swing freely inside or outside. This offers exercises in wide or narrow grip. The training guide explains numberless different exercises. Exercise your body in changing intensities. 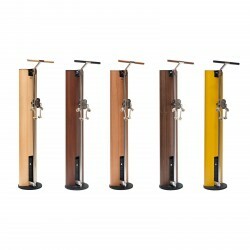 The NOHrD cable machine SlimBeam is not only extremely functional. The little multi-gym looks great as well. Shape and function complement each other perfectly. The SlimBeam has a design for optimal integration into the apartment. The NOHrD cable machine SlimBeam is also very space-saving. The precious multi-gym is available in different colour versions. 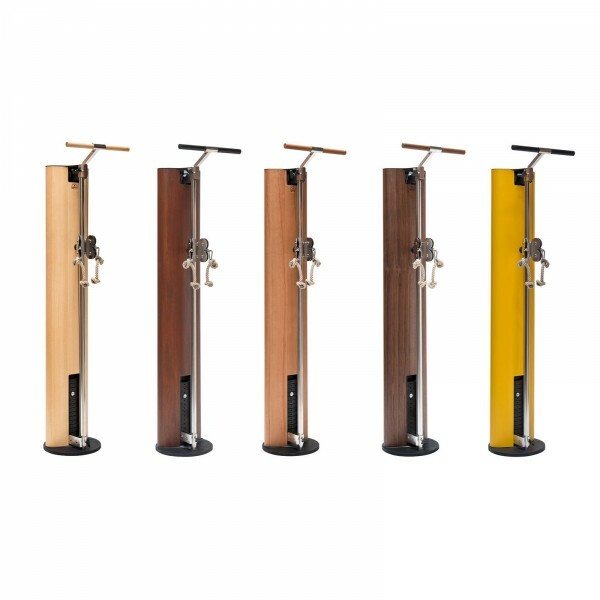 The standard version of the NOHrD cable machine SlimBeam comes with a 3:1 transmission. Our service team will be happy to advise you, if you prefer a different transmission ratio. NoHRD SlimBeam handle In stock! NOHrD lat-pull upgrade set In stock! NOHrD alu lat pull bar In stock! NOHrD cable pull for SlimBeam multi-gym In stock! NOHrD chin-up bar/abs module for SlimBeam multi-gym In stock! NOHrD foot strap In stock! NOHrD SlimBeam monitor holder for electr. training control system In stock! Less than 5x available, further are coming.